(a) Remove the windshield wiper motor and link (See page ). 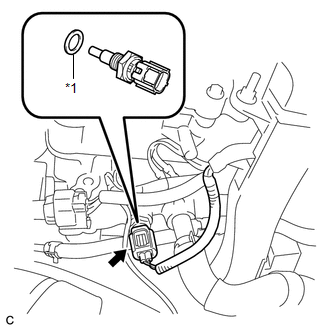 (a) Disconnect the engine coolant temperature sensor connector. (b) Remove the engine coolant temperature sensor and gasket.